Residence of tourism in Carcans Maubuisson, little corner of paradise between lake and ocean, near the famous vineyards of the Médoc. On one of the largest natural lakes in France, you can practice an array of water activities, and 120km of bike paths invite you to long walks in nature. Welcome to the Basque coast. 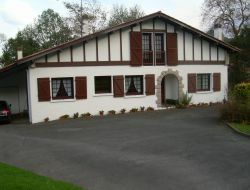 Holiday rental in Urrugne, at 7 km from the sea, between St Jean de Luz and Hendaye. Green environment, mountains, nature, calm. 7km from Spain. 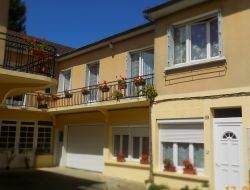 Rent of a duplex for 6 persons on the Basque Coast in Ciboure. Apartment of 95m² with a vast terrace of 50m² partially covered, in 5 minutes from the beaches, golf, the thalassotherapy with in the background the Rhune and its small train. 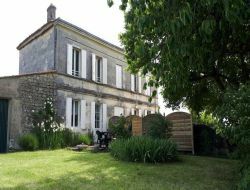 Rent of 2 cottages in the Périgord Vert, near the village Aubeterre-sur-Dronne: the "pigeonnier" for 4 people and the "Petit Maison" for 2 pers, installed at each end of an old farmhouse. An area of ​​2 hectares of greenery and a panoramic view of the Dronne valley are an ideal place for relaxation and tranquility. 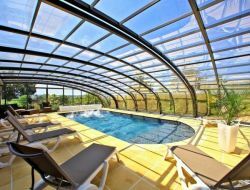 The holiday village Les Ventoulines is ideally located in the Black Perigord near major tourist sites of Dordogne. Many free services are offered to holidaymakers, all year round: indoor heated pool, playground, entertainment. In summer, a magnificent infinity pool is added to these activities. A restaurant serving local fresh local products completes this offer. There is also a small lounge with free WIFI. Holiday village in the Dordogne, located in a spacious and wooded environment on the banks of the river Dropt and 1km from the heart of the village of Eymet and its many activities. In the heart of the Périgord Pourpre, you will be 25 km from Bergerac. 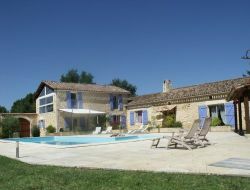 Holiday rental on the peninsula of the Cap Ferret. 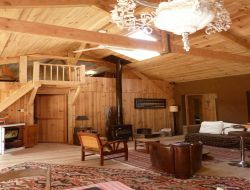 Charming wooden house of 130m², for 8 persons, on garden 1000m², at the heart of mimosas and strawberry trees. 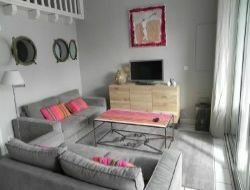 Sunny rent, in the peace, 5mn on foor from the beach of the Bassin d'Arcachon (le minbeau) and 10mn from the ocean. 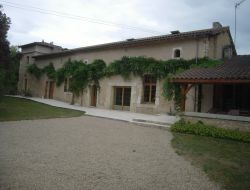 Property situated in the heart of the vineyard of Fronsac, this charming stone house is open all year in the Gironde. A few miles of the great castles and the Atlantic coast, enjoy the quiet of his garden for shade and relax. Florence and Eric open you the doors of their property with garden and swimming pool, you will be for the peace of this dependence restored in formula studio (25m²) with independent entrance. Property of 2ha not closed. You can take advantage of the swimming pool, the orchard, the park with its goats dwarfs and cats.